Right now we have a great subscription offer for you! Currently we have a great subscription offer! 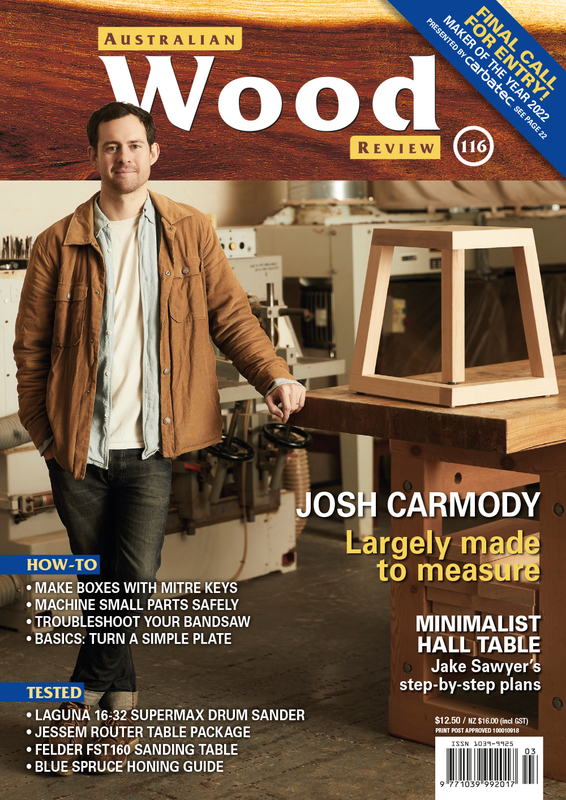 Subscribe for two years* and receive 8 issues of Wood Review in both print and digital versions! On top of that you will receive a free Opinel No.8 folding knife. The celebrated Savoyard pocket knife is the ideal companion for your picnics, hiking and woodworking. This stainless steel knife is your everyday ally for all DIY tasks. The corrosion resistant stainless steel blades are made from Swedish Sandvik steel, require no special care and have the Virobloc safety system on the collar which locks the blade into position – open or shut. Valued at $24.95. * Offer expires 31/05/2019. Australian postal addresses only. While stocks last.